Not everyone person who has a “cancer gene” will inevitably develop this disease in their lifetime. Thanks to a new area of research called epigenetics, we now know that many genes are only read under certain circumstances. Prof. Stefan Knapp from the Institute of Pharmaceutical Chemistry and Buchmann Institute of Molecular Life Sciences at the Goethe University not only researches the underlying mechanisms, he also developed small molecules that inhibit the derailment of gene expression in cancer. Now he has been elected as one of 62 new members in the European scientific organization for molecular biology, EMBO, joining a group of more than 1800 of the best researchers in Europe and around the world. 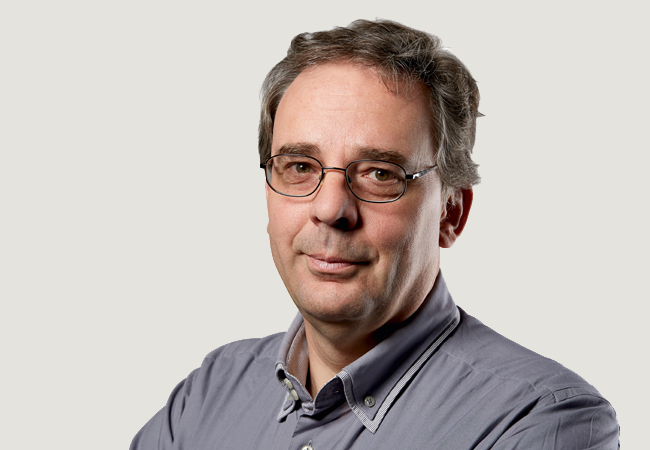 “I am delighted that I have been elected to the EMBO society and I am looking forward working with this group of outstanding scientists to advance research, exchange new ideas, and promote science in society”, says Stefan Knapp. Prof Knapp has made seminal contributions to the elucidation of structural mechanisms of the regulation of proteins that play key roles in signal transduction. This in turn led to a detailed description of protein family specific regulatory mechanisms and the elucidation of substrate recognition processes. Based on these findings, he developed a large array of new small molecule inhibitors, in particular highly specific inhibitors for epigenetic reader domains. The first potent inhibitor developed by Prof Knapp and colleagues validated epigenetic reader domains as target for cancer therapy which led to a diverse set of highly selective inhibitors targeting these proteins. Prof Knapp’s work has provided new insights into chromatin biology and paved the way for more than 25 clinical trials in this new area of drug discovery. Prof Stefan Knapp studied Chemistry at the University of Marburg (Germany) and at the University of Illinois (USA). He did his PhD in protein crystallography at the Karolinska Institute in Stockholm (Sweden) (1996). In 1999, he joined the Pharmacia Corporation, where he worked for five years as a principal research scientist in structural biology and biophysics. In 2004, he set up a research group at the Structural Genomics Consortium at Oxford University (SGC). From 2008 to 2015 he was a Professor of Structural Biology at the Nuffield Department of Clinical Medicine (NDM) at Oxford University (UK) and between 2012 and 2015 he was the Director for Chemical Biology at the Target Discovery Institute (TDI). He joined Frankfurt University (Germany) in 2015 as a Professor of Pharmaceutical Chemistry and the Buchmann Institute of Molecular Life Sciences. He has been the CSO of the newly founded SGC node at the Goethe University Frankfurt since 2017. About EMBO // EMBO is an organization of more than 1800 leading researchers that promotes excellence in the life sciences. The major goals of the organization are to support talented researchers at all stages of their careers, stimulate the exchange of scientific information, and help build a European research environment where scientists can achieve their best work.